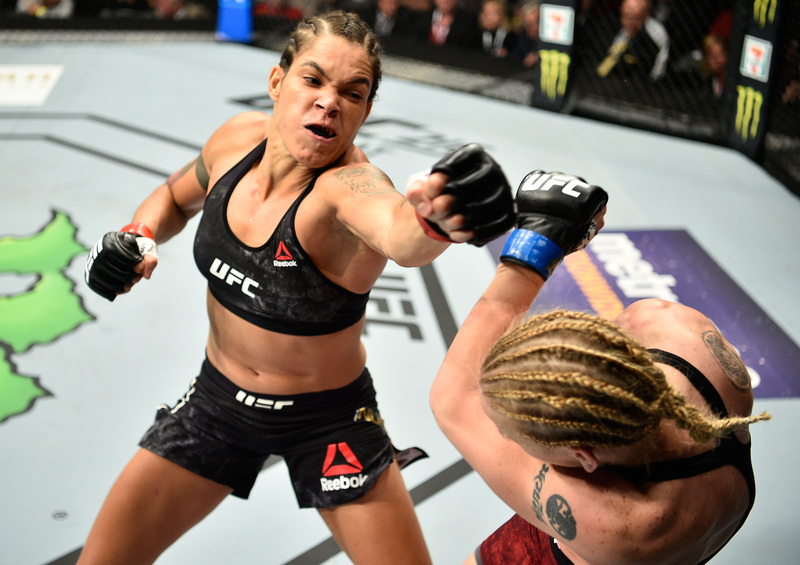 Amanda Nunes vs Valentina Shevchenko UFC 215 Sep 9, 2017 (43:21) Amanda Nunes vs Valentina Shevchenko UFC 215: Nunes vs Shevchenko 2 from September 9, 2017 in Edmonton, Alberta, Canada. 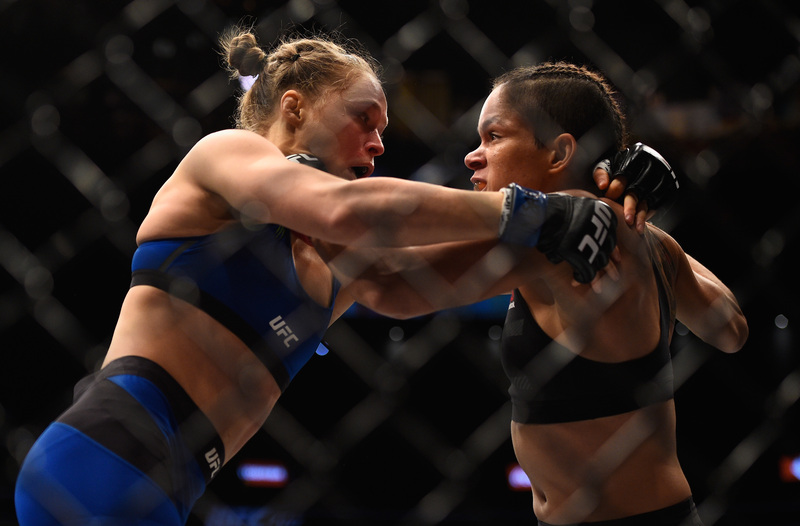 Amanda Nunes vs Ronda Rousey UFC 207 Dec 30, 2016 (18:26) Amanda Nunes vs Ronda Rousey at UFC 207: Nunes vs Rousey from December 30, 2016 in Las Vegas, Nevada, USA. 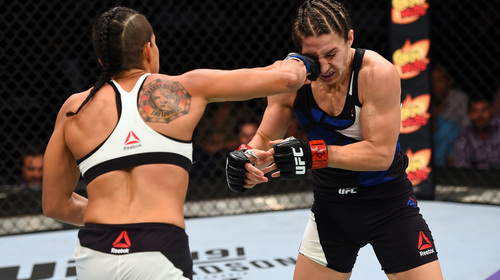 Amanda Nunes vs Miesha Tate UFC 200 Jul 9, 2016 (22:43) Amanda Nunes vs Miesha Tate at UFC 200 from July 9, 2016 in Las Vegas Nevada, USA. 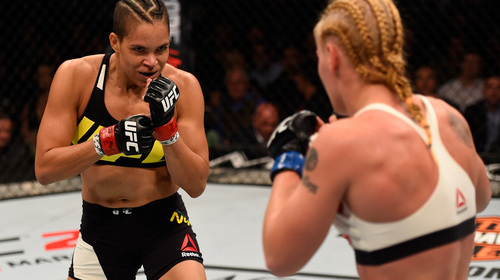 Amanda Nunes vs Valentina Shevchenko UFC 196 Mar 5, 2016 (29:05) Amanda Nunes vs Valentina Shevchenko at UFC 196: McGregor vs Diaz from March 5, 2016 in Las Vegas, Nevada. 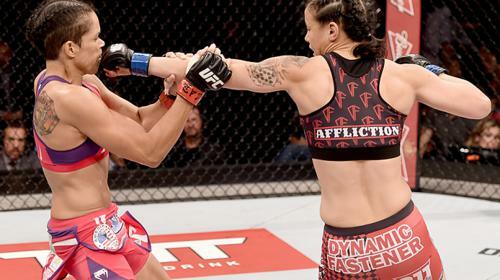 Amanda Nunes vs Shayna Baszler UFC Fight Night Mar 21, 2015 (6:52) In her 25th professional fight, "The Queen of Spades" Shayna Baszler faced off against a true finisher in American Top Team's Amanda Nunes. 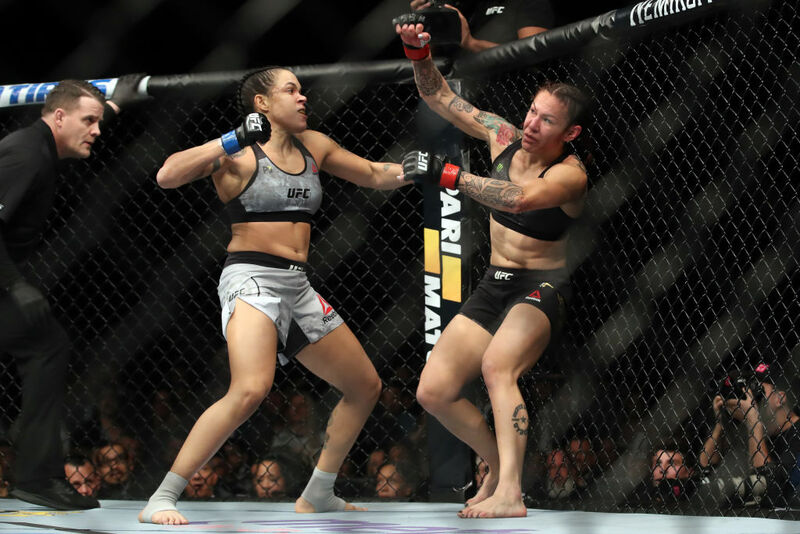 Amanda Nunes vs. Germaine de Randamie UFC Fight Night Nov 6, 2013 (15:38) Former kickboxing great Germaine de Randamie earned her first UFC win over veteran Julie Kedzie in July of 2013. 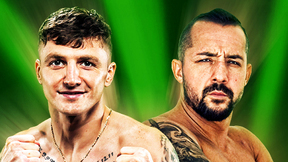 Meanwhile, Brazil’s Amanda Nunes stopped Sheila Gaff in just over two minutes, proving that the bantamweight division had two new rising stars to look out for. 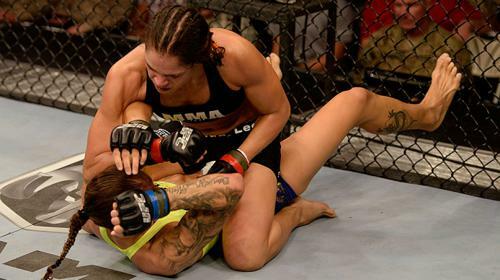 Amanda Nunes vs. Sheila Gaff UFC 163 Aug 3, 2013 (11:47) Brazilian Amanda Nunes mixed hard work and natural ability to become an instant hit in MMA. 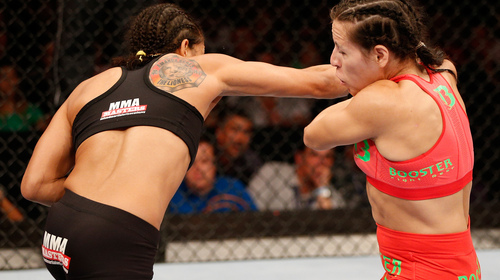 A Strikeforce veteran, Nunes made her UFC debut at UFC 163 against Sheila 'The German Tank' Gaff. 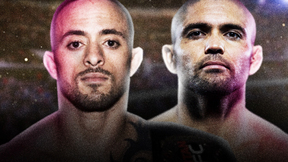 Gaff's task was to spoil Nunes’ debut and pick up her first UFC win. Amanda Nunes vs. Raquel Pa'aluhi Invicta FC 2 Jul 28, 2012 (10:26) With a record of 6-0, with all six wins coming via KO, few bantamweights wanted to tackle Muay Thai expert Amanda Nunes, but boxer turned wrestler Pa'aluhi did just that at Invicta 2. Amanda Nunes vs. Julia Budd Strikeforce Challengers 13: Woodley vs. Saffiedine Jan 7, 2011 (4:54) After making a successful Strikeforce & pro MMA debut, Muay Thai kickboxer Julia “The Jewel” Budd, who scored a TKO win in her last outing, was set to face Strikeforce debutant Brazil’s TKO machine Amanda Nunes, who was riding a five fight win streak.